I completed another coat for Holly, since its still cold up here. She is so good about wearing the coats I make her. I used See and Sew #B5275 again, it was used on this coat. We are patiently waiting for the warmer weather. We did have a few warm days and flowers and trees are already in bloom. Holly definetly looks very comfortable in her coat. Great work. So cute! We have to use coats up here (AK) during the winter months used to in the spring with our other dog. Found your post from the TT&J link-up. Thanks for sharing! Oh how sweet is she??? So cute! I have a Golden Retriever that would be so cute in clothes, but she loves to eat fabric! Nice work! That is just too cute! And she looks very happy wearing it. Your Holly is the cutest little thing! Great job on the coat! Hope it warms up for you soon! I'm your newest follower! Have a great weekend! Sorry for my late visit, I've been traveling! How adorable is this?? 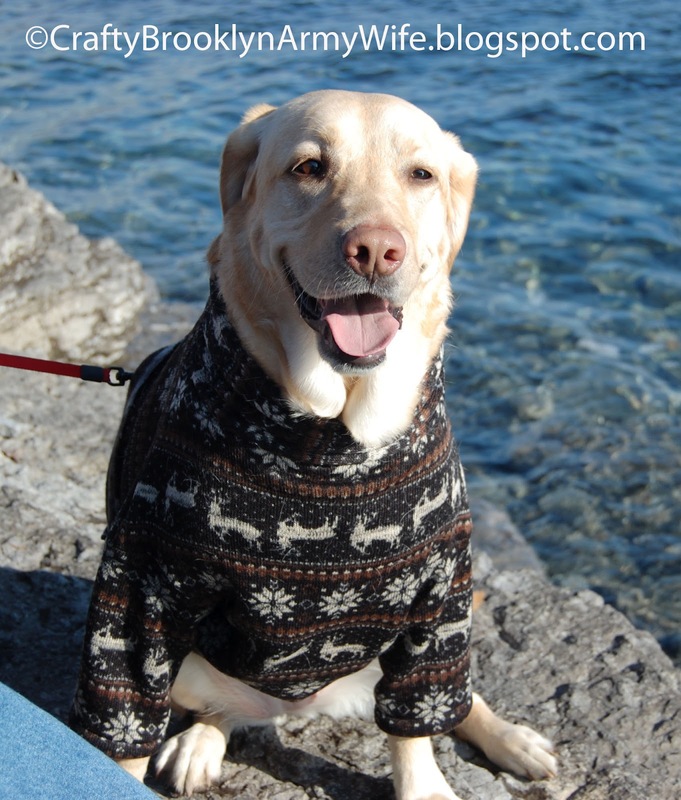 I think I only get excited for cold weather because my dogs can wear cute sweaters like this. I'm your newest follower! Oh that's so cute and she looks so happy in it! What a sweet pup!! Thanks for linking up this week! 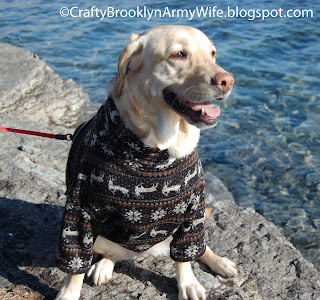 Your dog is the best dressed dog thanks to your clever fashions! I was wondering why the coats when we are approaching summer but then I saw you live in Canada! Awww...had to come by from Sugar & Dots b/c our dog shares the same name. Your Holly does look super sweet, and her coat looks terrific. You are quite talented. I love this. Come back Thursday and link it at our crafting link party! Hiya!!. Thank you for the follow. I hope you will enjoy all that we do at FineCraftGuild. I think others will love it too! Haha this is amazing! Holly is soooo cute!! I want one! This is such a lovely coat for Holly - it will defintitely help keep her warm. What an adorable dog and coat! OMG is that adorable!! Great job! Andrea, Holly and I thank you for featuring us on your Facebook page!! OMG this is so cute.. Love it! Thank you Justine!! Holly thank you too! Can never have enough sweaters .... says Dog Fashionista ! These are darling! I have a husky and I'm sure she would flip out if I tried to get her to wear a sweater! :) I'm a new follower from the under 300 followers blog hop! Congrats! We love all your wonderful post about Holly that you linked up. 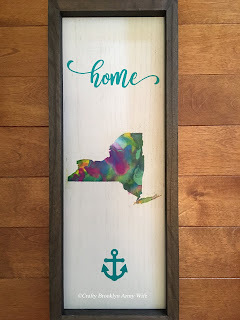 Our Bowdabra Designers picked your post as one of our favorites this past week from the Crafty Saturday Showcase! We are featuring you on our Facebook page, twitter and Pinterest pin!